Chicago based alt-rockers 7 Minutes in Heaven’s EP Symmetry was released today, September 15, 2017. While this is their third release, it is their first release since being signed to Rude Records. This release displays a huge growth on the band’s part, showcasing a more mature and developed sound. Each song features more powerful and more meaningful lyrics than ever before, involving a common theme of finding a sense of independence and balance in life. The opening track, “Better Off”, makes a great first impression for the EP. It’s super catchy and memorable, and chances are, you’ll find yourself singing along by the end of the first listen. I can already picture the crowd singing along to this one at concerts. The second song, “LOTL“, an acronym for live outside the lines, is a super fun song to listen to with incredibly passionate lyrics of self-reflection. In the chorus, Alex belts powerful vocals similar to the style of Set it Off’s singer Cody Carson. Next up is “Symmetry”, the title track and my personal favorite of the two early releases from the EP. I may be biased because I’ve listened to it so many times already, but I think this song was the best track to name the EP after. It features a rich chorus and a high energy throughout while discussing the same idea of independence. “Sweetest Sin” provides a slower paced, calming balance to the collection of energetic songs, while maintaining just as much passion as the others. This song gives a more rounded sense of what 7 Minutes In Heaven is capable of. 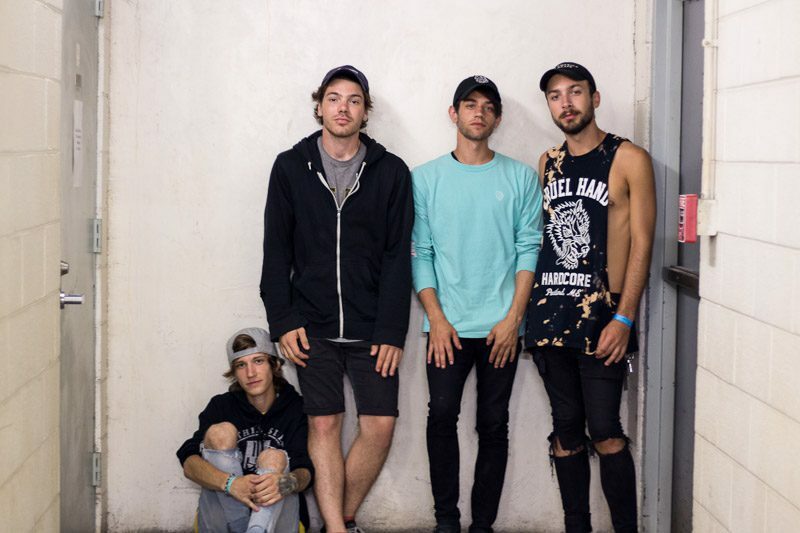 Reminiscent of All Time Low, “Sweetest Sin” draws in elements from other pop punk bands combined with their own style to create a fun new twist. Next is “Cellar Door”, which features more prominent vocals and a very strong drum fill in the bridge. I’m not really sure why, but I’m not as drawn to this one as much as the others, however, it is still very strong in the collection. Last, but certainly not least, “Wishing Well” is the most musically compelling song out of all of them. It’s possibly the heaviest of the tracks, but I really love the way the band tried something new and totally rocked it. A major characteristic of 7 Minutes In Heaven is the trade off of vocals between Alex Rogers and Timmy Rasmussen, and I absolutely love the way the two seamlessly switch off in this song. “Wishing Well” is a great way to close out the EP. Purchase or stream Symmetry here.